Boy, have the political winds shifted. Last month, obituaries were being drafted for the campaign of Republican US Senate candidate Greg Brannon in the wake of an unfavorable court decision. Then, we heard from Brannon’s co-defendant in the civil suit, who told us all about some strange goings-on in the courtroom — including some rather bizarre interactions between the judge and the jury. THAT gets followed up with a revelation that the judge was a 2008 campaign donor to Kay Hagan — who Brannon just happens to be running to unseat this year. Now, it appears a formal complaint has been filed with the state Judicial Standards Commission against the Brannon case judge, Bryan Collins of the Wake County Superior Court, by Jodi Riddleberger, a leader with the Tea Party-affiliated Conservatives For Guilford County. A. A judge should respect and comply with the law and should conduct himself/herself at all times in a manner that promotes public confidence in the integrity and impartiality of the judiciary. (1) A judge should refrain from financial and business dealings that reflect adversely on the judge’s impartiality, interfere with the proper performance of the judge’s judicial duties…. As a result, Superior Court Judge Bryan Collins, who presided over the case, found Brannon must reimburse the two investors who were plaintiffs in the case over $450,000. There is controversy sounding the merits of the case, and Brannon is appealing the ruling. Collins is a registered Democrat. By conducting an FEC search for political campaign contributions, we see that a Bryan Collins in Raleigh who listed his occupation as Public Defender contributed the sum of $500 to the Hagan Senate Committee in 2008. This article was posted on the Pundit House (http://pundithouse.com/2014/03/conflict-of-interest-in-brannon-case/#.UyipN85M9ws.facebook) on March 18th 2014. Obviously if Judge Collins is a financial contributor to Kay Hagan, then he should not have presided Dr. Greg Brannon’s court case — as he was clearly not able to be unbiased towards her fore-running Republican opponent in the US Senate race. Please work to remedy this situation and help build confidence in the justice of the NC courts system. It is unfortunate that this law suit is occurring at this time. 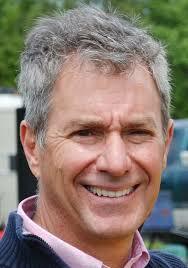 Can Sen. Hagan’s political machine use this issue to create doubt in Dr. Brannon’s integrity? That is my concern.